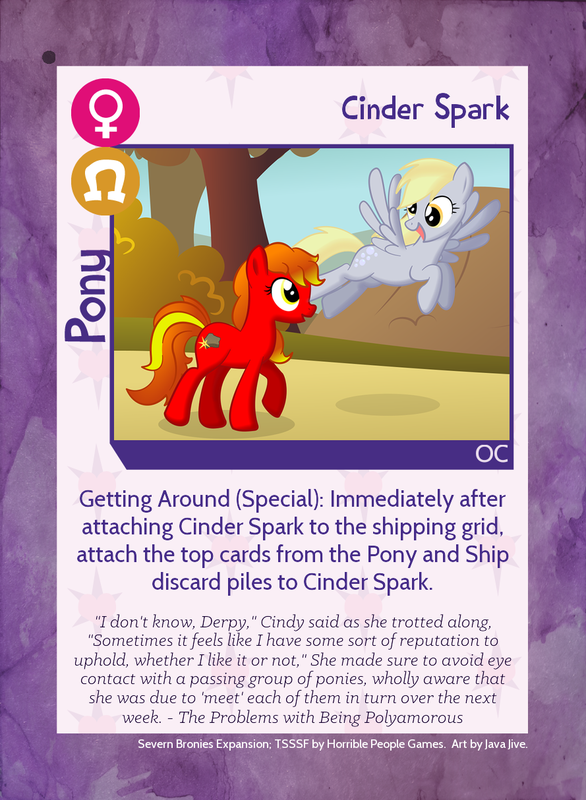 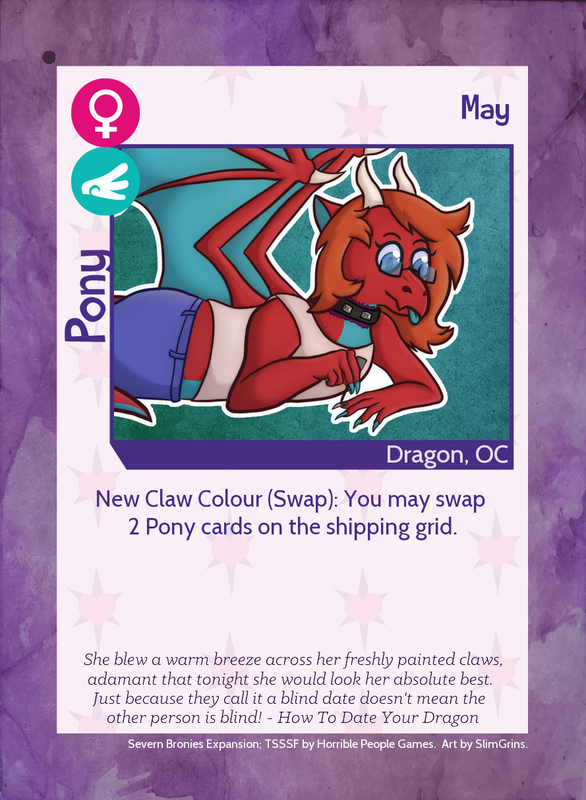 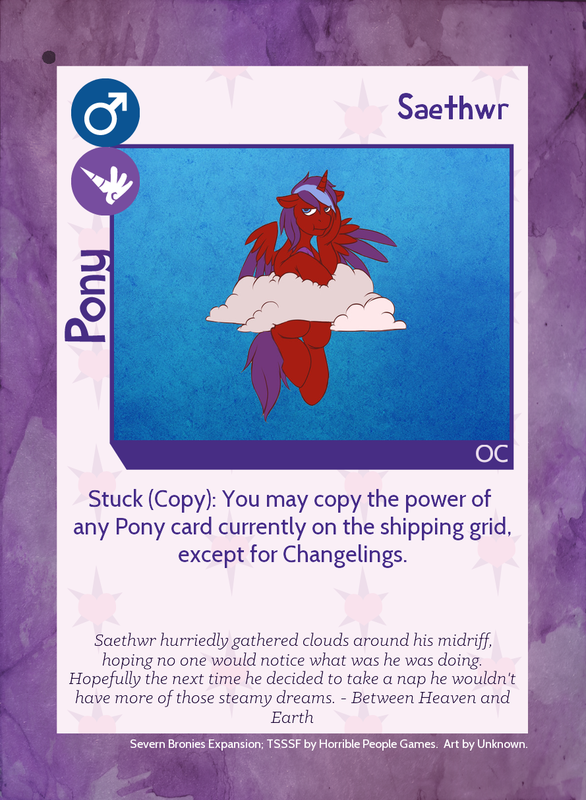 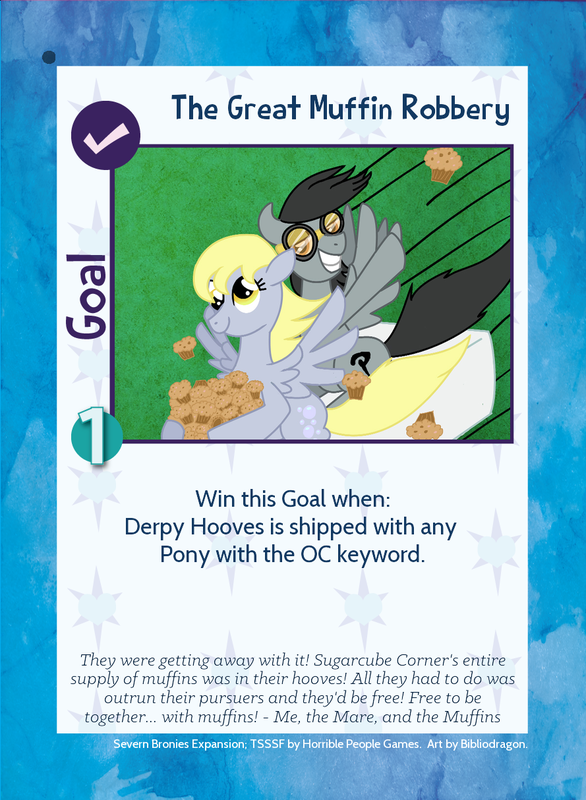 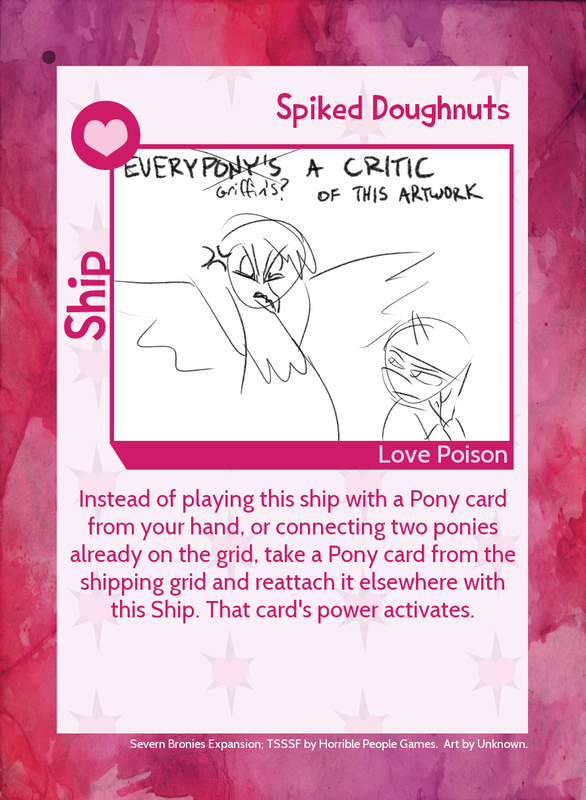 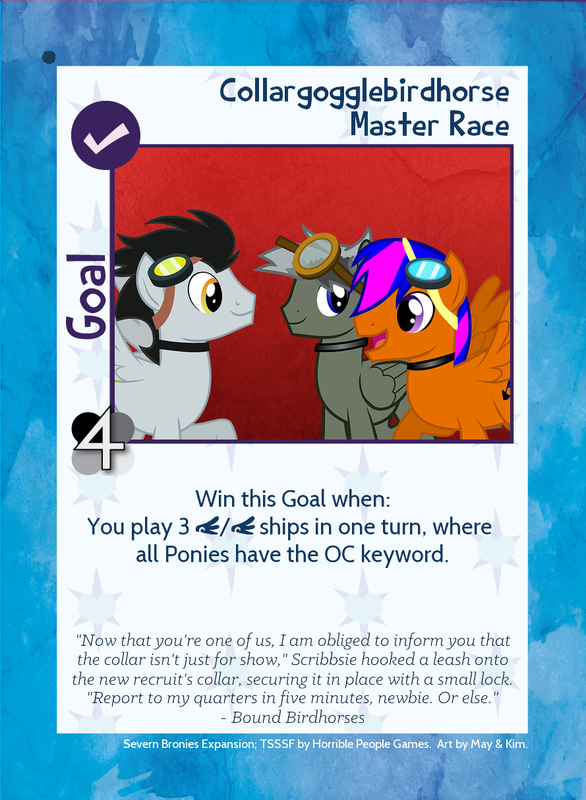 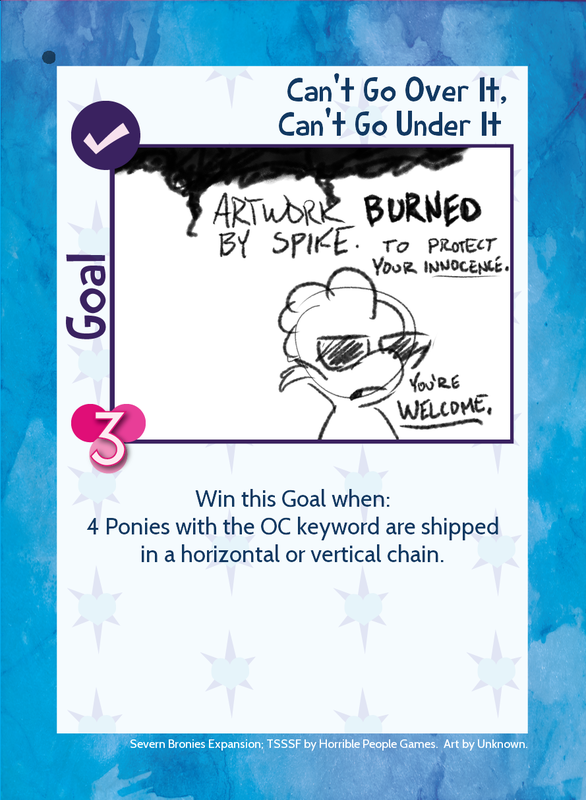 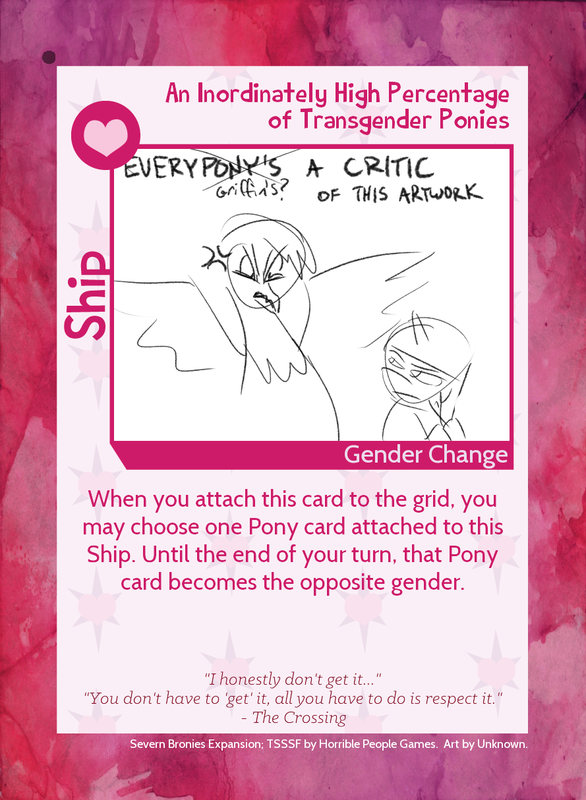 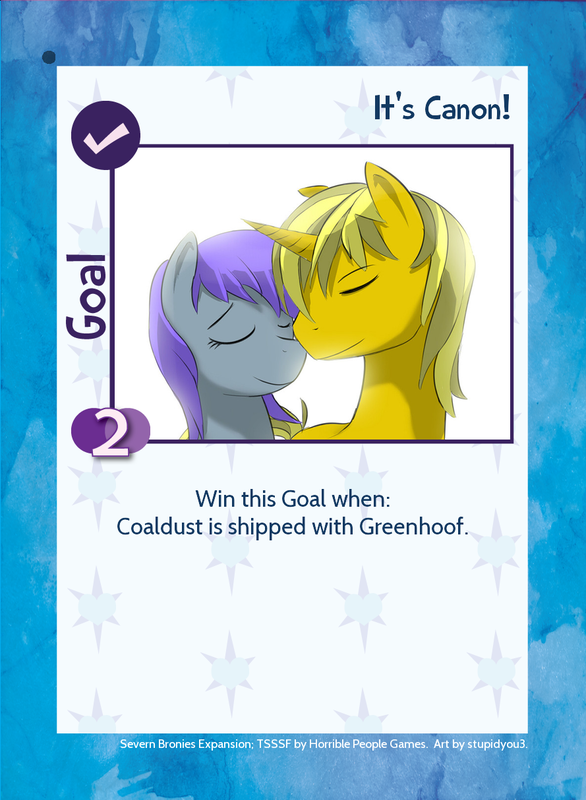 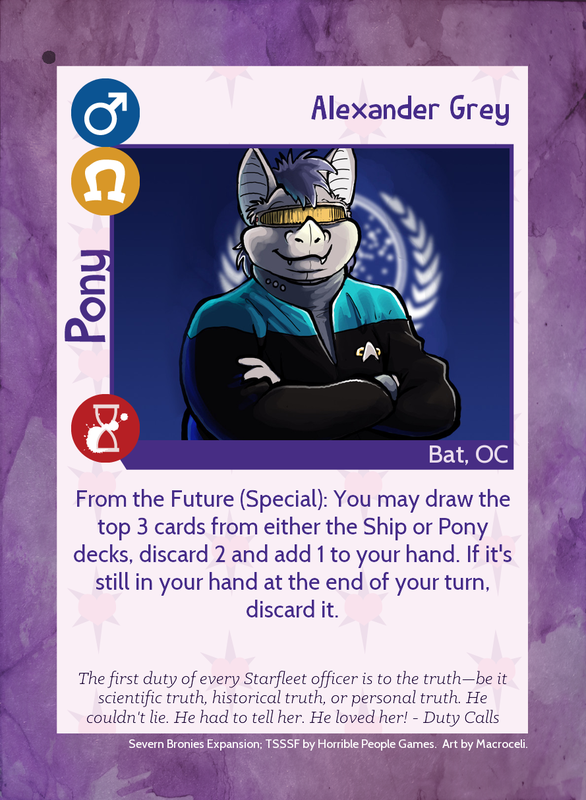 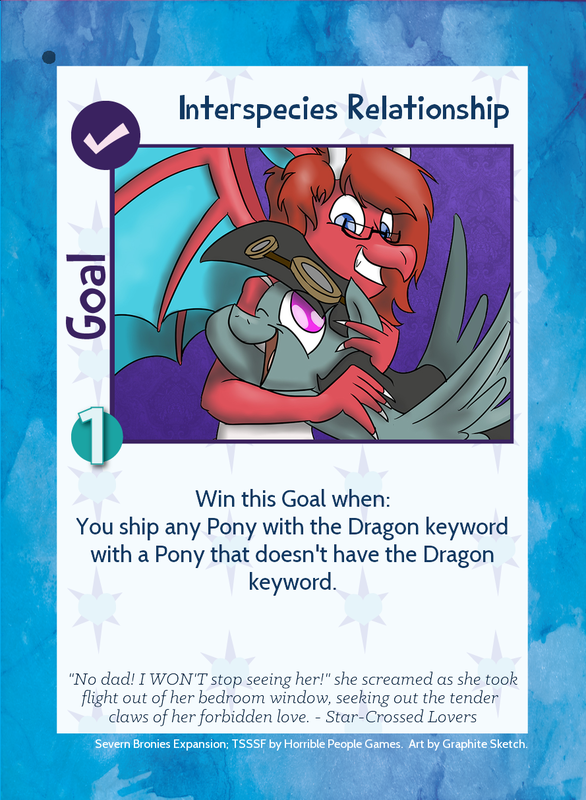 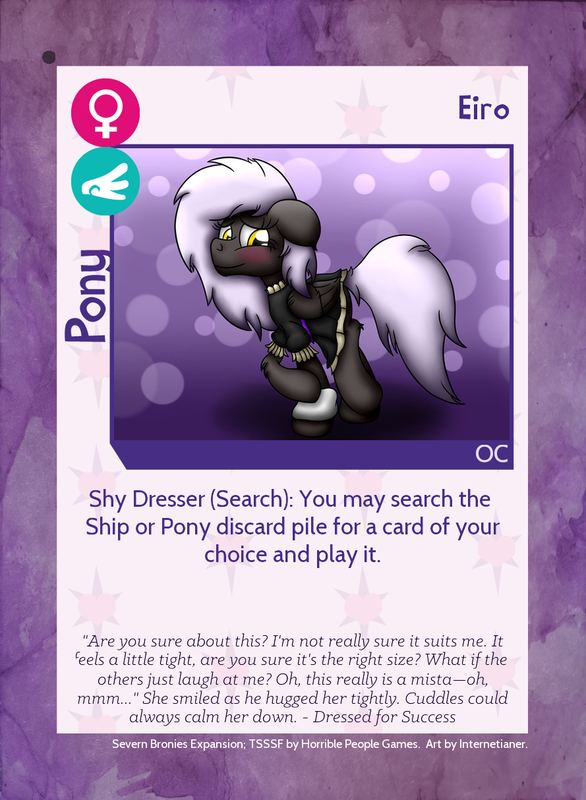 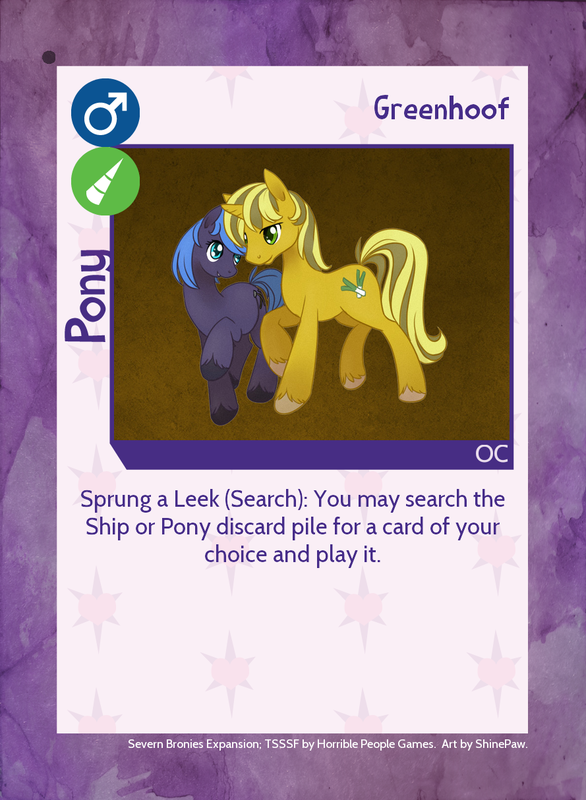 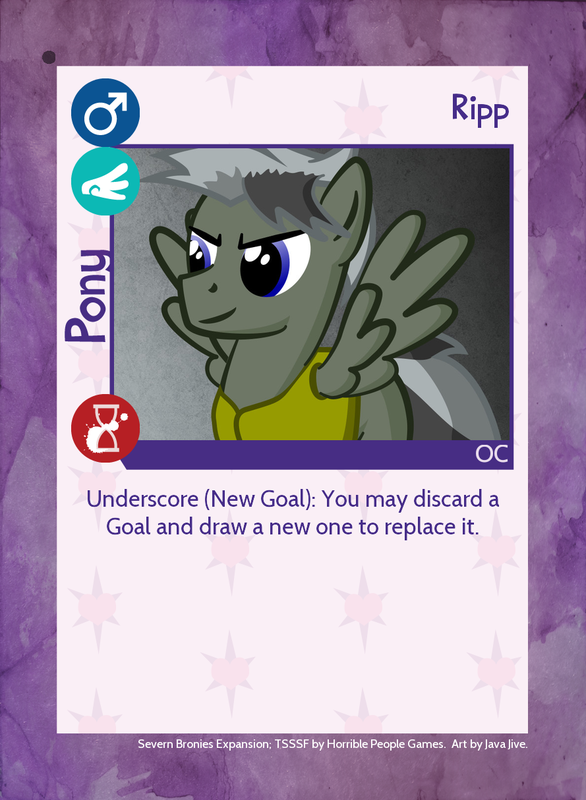 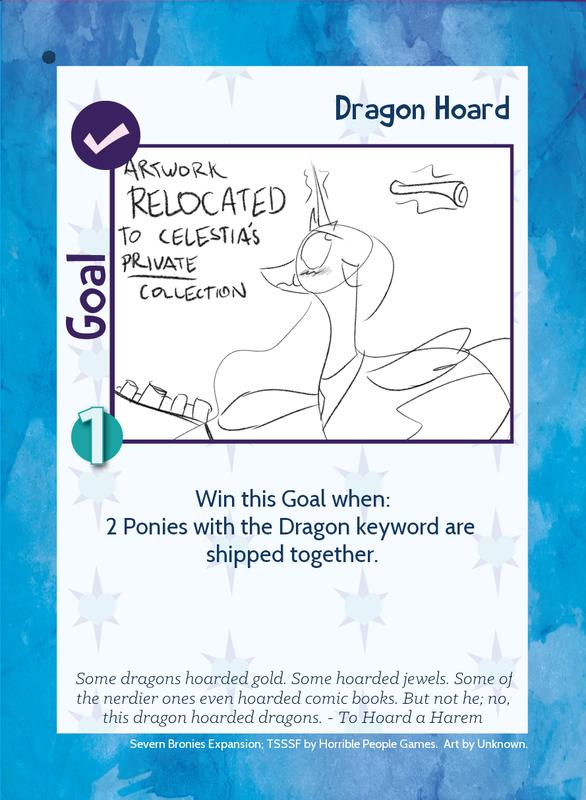 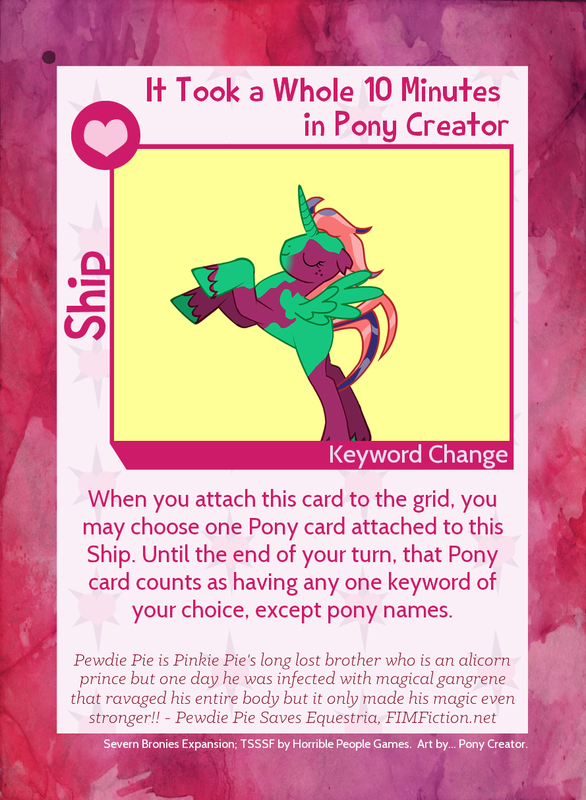 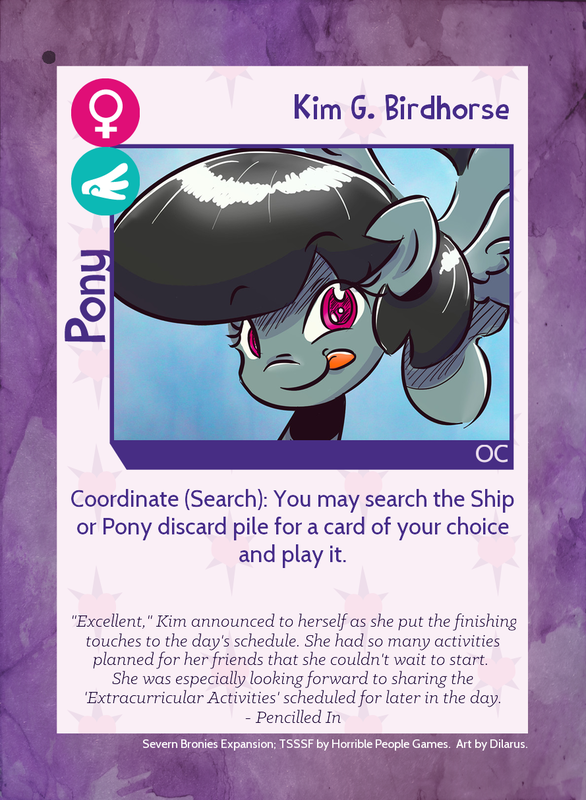 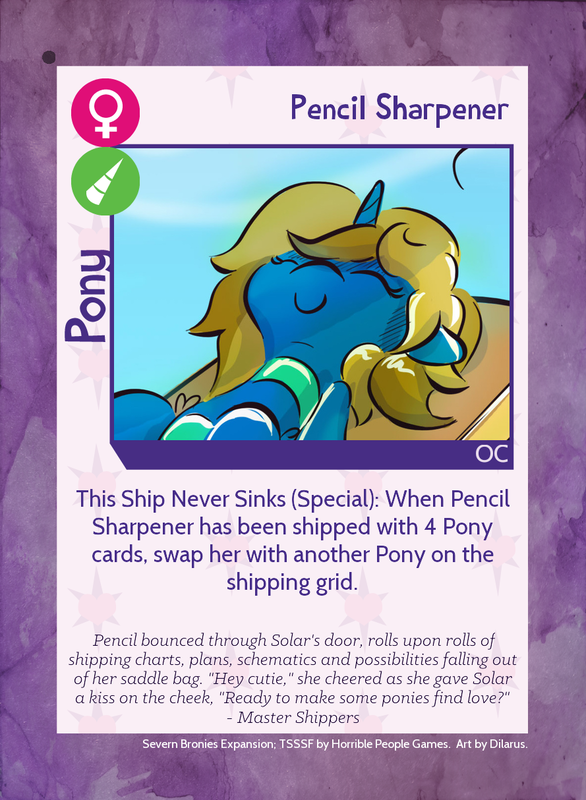 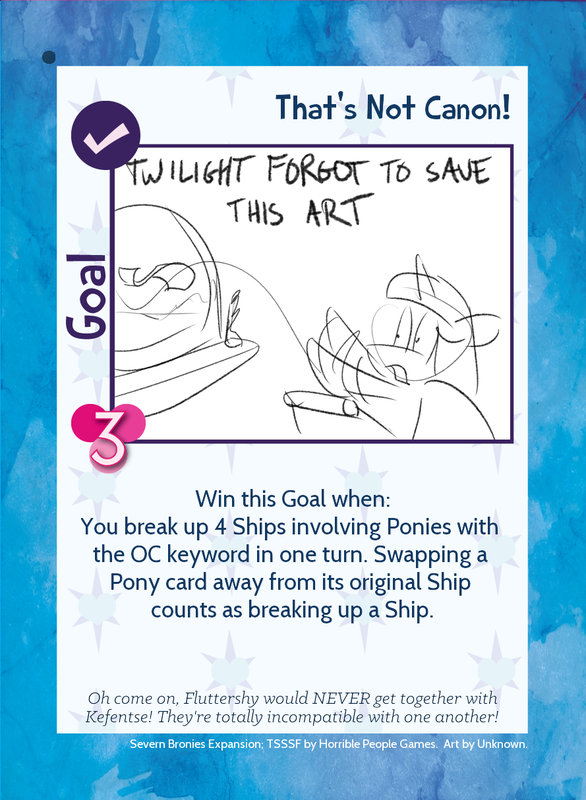 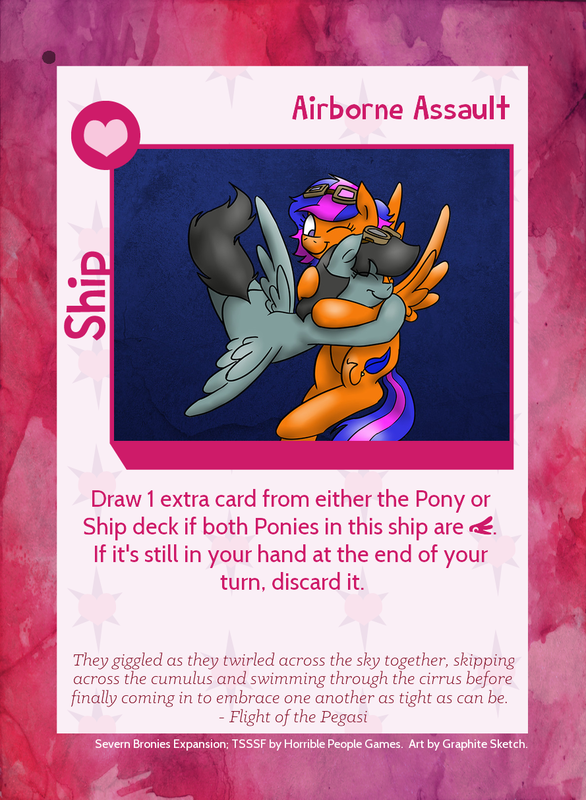 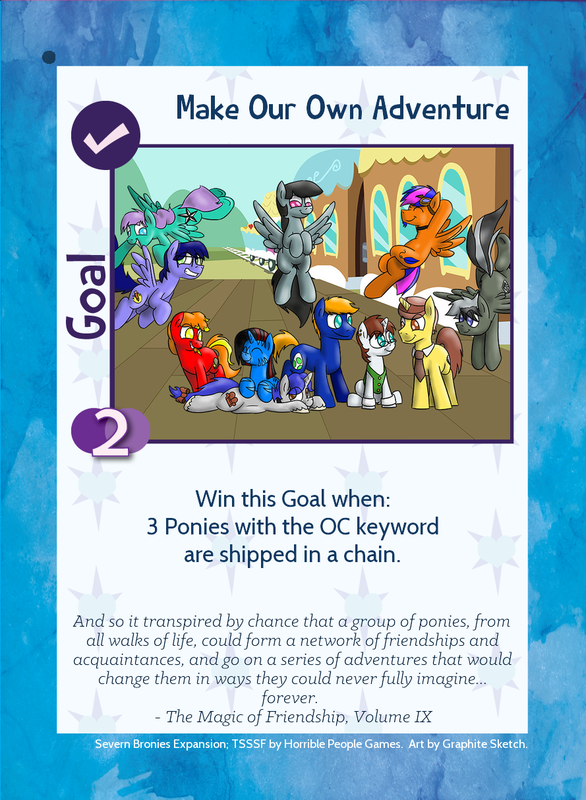 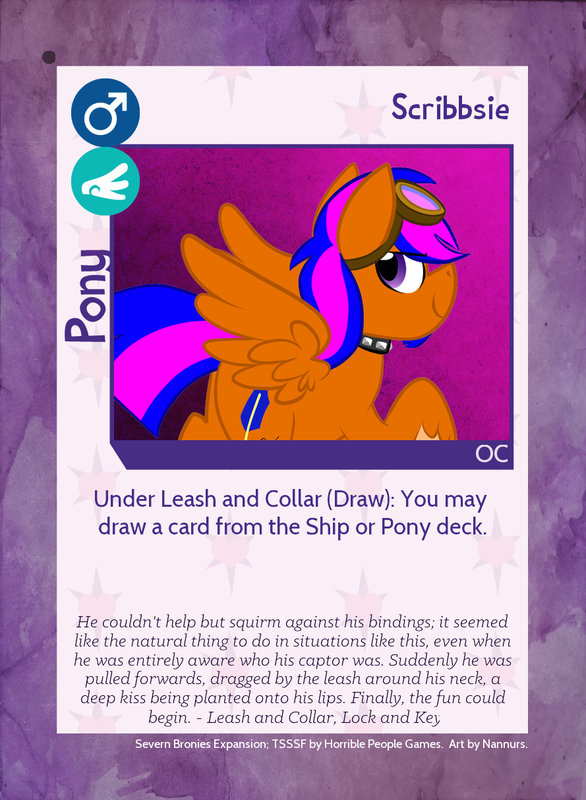 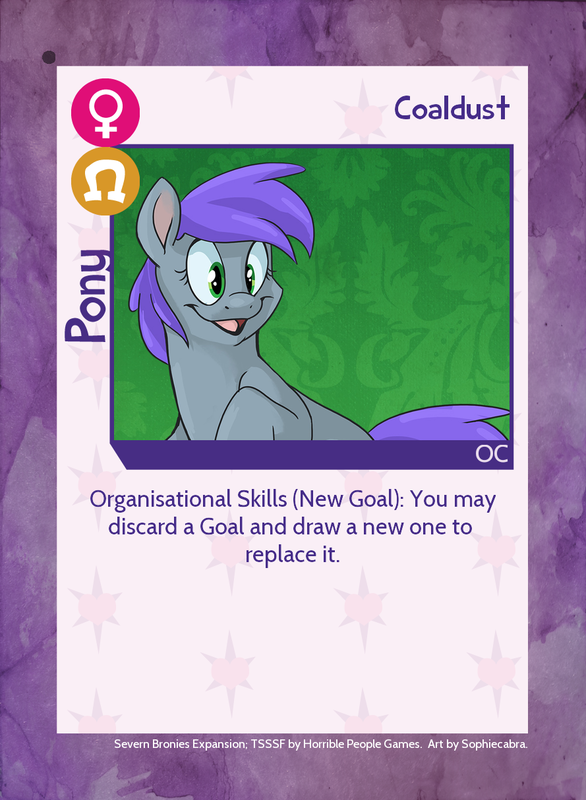 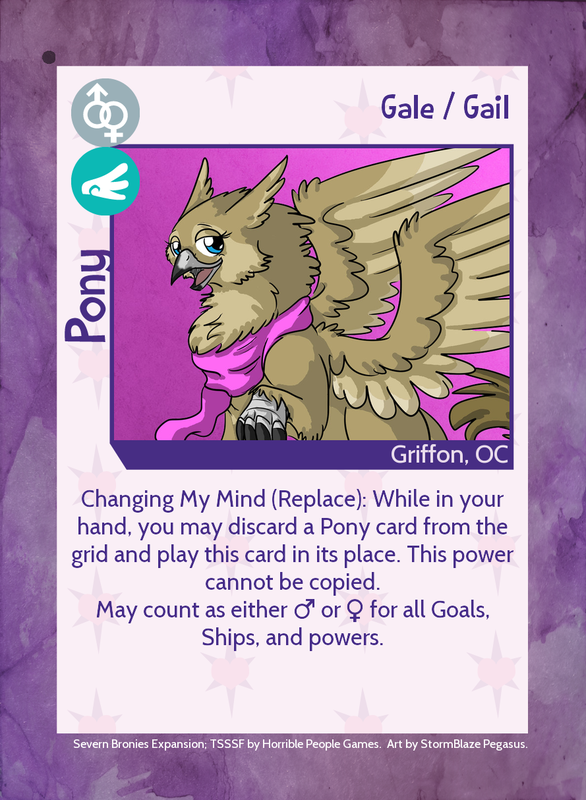 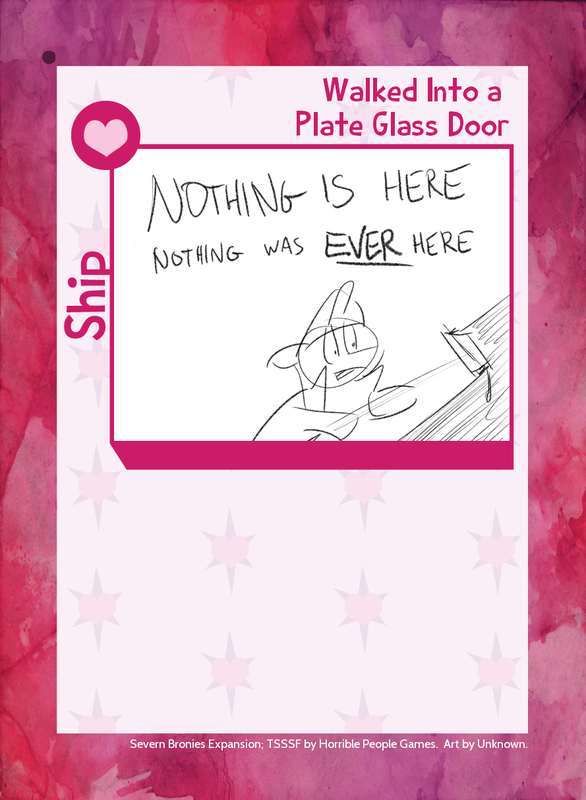 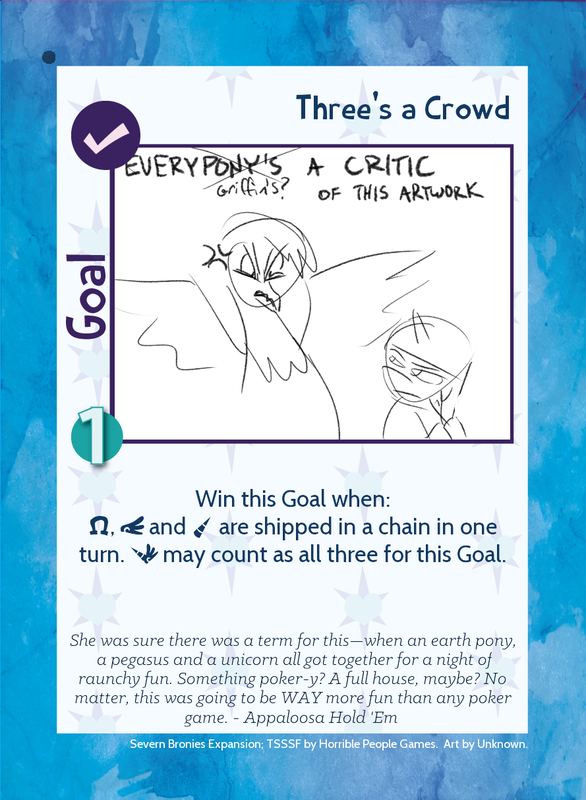 A series of custom cards for the game Twilight Sparkle’s Secret Shipfic Folder, inspired by the OCs, events and relationships of the Severn Bronies. 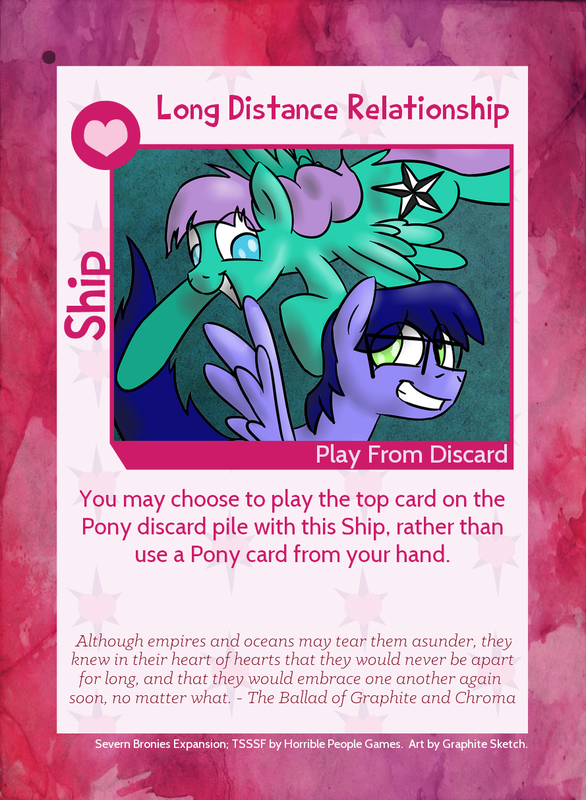 These cards are designed to be compatible with the core game and all other expansions. 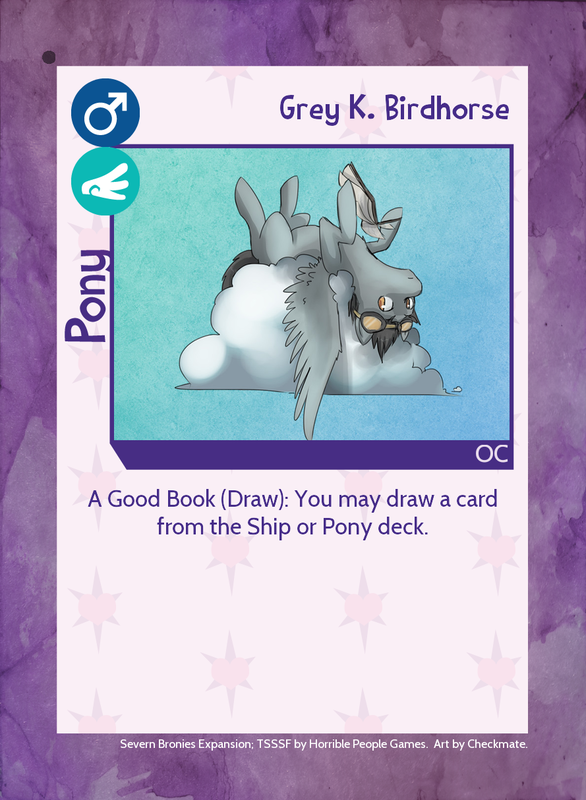 Rebalanced Alexander Grey power so the user can only search the top three cards of the Pony or Ship decks and not the whole deck. This page was last modified on 18th September 2016; 6:18pm .